I love sweet potatoes – pretty much any way you fix ’em =), so when I had some leftover baked sweet potato I whipped up some sweet potato waffles. 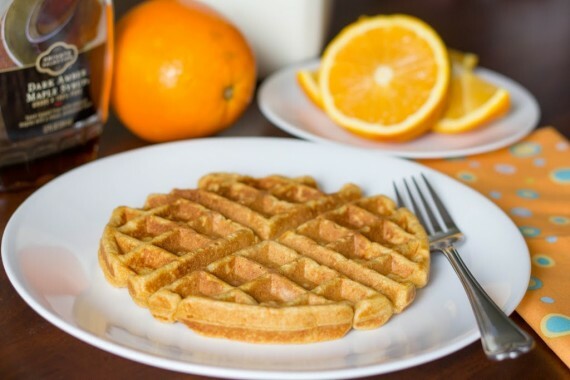 Now, I had had sweet potato pancakes on my list to make for a long time but since Jordan likes waffles better I decided to be nice and cater to him…as always ;). But then he wouldn’t even get out of bed to eat with me so I should have made pancakes haha. He’s not a morning person – at all – and it was going to take more than waffles to get him up before noon on a Saturday. His loss though because they were delicious! I used my cornstarch trick again to keep them crisp and once again it worked like a charm. I decided add a little orange zest and it was a nice compliment to the sweet potato flavor. Enjoy! 1. In mixing bowl, combine sweet potato, milk, vanilla, orange zest, and melted butter. Mix until combined. 2. In separate bowl, combine flour, cornstarch, baking powder, salt, and brown sugar. Add to wet ingredients and stir just until combined. 3. Beat egg whites until they form stiff peaks and gently fold into batter. 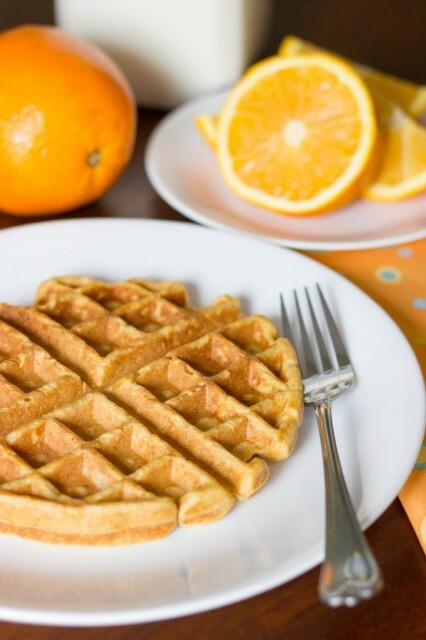 Pour onto preheated waffle iron. Makes 4 waffles.